PowerGrassRadio.com home of Bluegrass Gospel CDs and Bluegrass Gospel online. Guest: David Johnson-dobro & guitar. Come Back Home was written by L.G. Presley. Dear Loved One was written by Reagan Riddle. I’m Looking Through New Eyes was written by Reagan Riddle. I Made A Vow To The Lord was written by Eugene H. Whitt. The Blood Of God’s Only Son was written by Roger Duncan, Jr.
I’m Going There Was written by Charles Jackson. It’s Wrong Or It’s Right was written by Reagan Riddle. The Precious Blood Of Jesus was written by Reagan Riddle. With My Dear Lord was written by W. Cortez Blaylock. 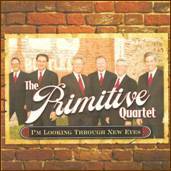 The Primitive Quartet is a gospel group ... Candler, North Carolina. CD released in 2009 on Mountain Heritage Records.